A flapjack octopus was spotted on the sea bottom off the central California coast - the little yellow creature was hiding inside its own tentacles. Perhaps it was feeling a bit shy? However, according to E/V Nautilus researchers, the cute octopus is not shy, it's just so bright that it sometimes hides from its own dazzling light. This type of octopus is normally quite small in size, with male species not exceeding 20 cm. Their bodies are quite gelatinous and look spongy. 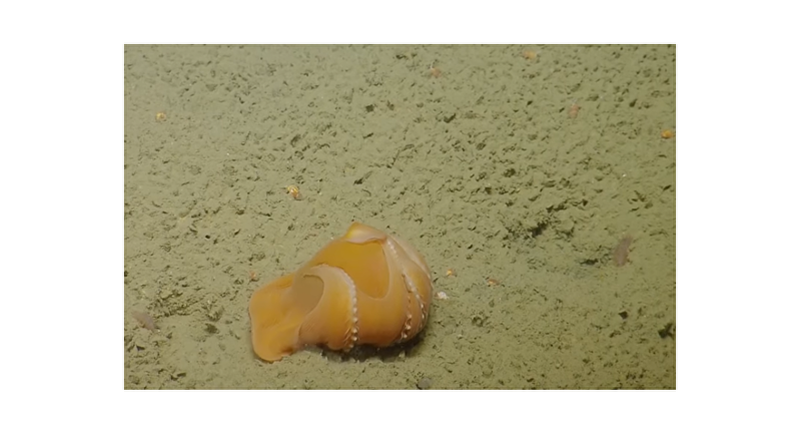 While the colour of the cutie shown in the video is transparent yellow, some flapjack octopuses can be transparent bright red and pink.